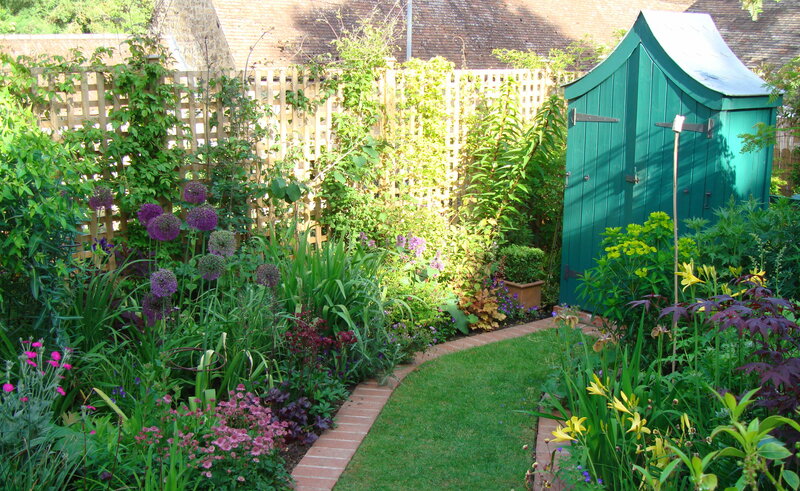 The Hidden Gardens of Sherborne event, organised by the club over the weekend of 8th and 9th June, managed to create a new record this year: over 500 people visited the gardens and an unparalleled £4167 was raised. The beautiful weather arrived just at the right time and visitors came from Sherborne and afar; from Bath in the north, Salisbury in the east and Bridport in the west! Everyone seemed to enjoy the variety of gardens which included some of historic interest such as the 550 year old Almshouse garden and the 18th century Shell House, one of five school gardens. The event was an excellent example of the community working together with the event sponsored by the Gardens Group, the involvement of Sherborne School and the Almshouse and, of course, the support of sixteen private households who had made their gardens available. Sherborne Castles provided the stewards and organisation so everyone played a part. The winning formula is obviously one which is much enjoyed by the public and already new gardens are being identified for next year’s show!